We are going to take a break today from funny stories or Henry stories or endometriosis stories. we are going to talk about something really important. A lot of you know my sister is adopting from Guatemala. You can find her blog about her sweet daughter Avery here. My sister and her husband have been working on their adoption for two and a half years. They have been trying to start a family for seven. After four IUI's, an IVF and an FET they decided that adoption was the way to bring their family together. They were quickly placed with their beautiful daughter, and we hoped to have her home to hug and kiss and show her the love we had for within six months. Unfortunately that is not what has happened. 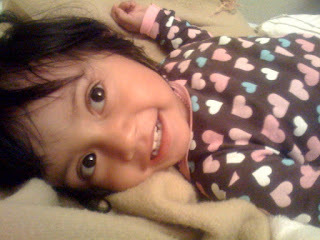 Due to government issues and dragging of feet sweet Avery is living in a foster home in Guatemala. They can and do go visit her, but the date of bringing her home is still unknown. This is not a unique case. My sister and her husband are part of the Guatemala 900. Nine hundred children who are caught in the middle of a political battle. The parents of these 900 are petitioning Washington to come to their aid. To assist them through relations with the Guatemalan government to release these nine hundred children to their loving American homes. I know I do not have a ton of readers, but I know that I have faithful ones. Ones that have supported me through the toughest of times. I am now going to ask you to please support my sister and the other families involved with the Guatemala 900 by simply signing this petition. It only takes a few seconds, but if there are enough signatures on it when the families present it in Washington DC, it might make a difference. I wish every single day for a way to help my sister and brother in law. I pray every night for their daughter to come home and their family to be complete. I know I cannot do much, but I can at least call on you all to sign. Please take a few seconds and fill it out. And keep Avery and the other children in your thoughts and prayers. Thanks guys. If you want to do more, you can post this link to the petition on facebook and/or twitter. Every signature helps. I've been following your sister on and off for a while now... Such a small thing to do for such a wonderful cause! I'm #2986 on the petition!!! I am a faithful follower (and non commenter!) of both you and your sister so I signed. I'm 3445. It's a crime that she has waited this long. My brother & his wife just adopted a little boy (from America) but I know how emotionally hard it was for them during the waiting period. I signed.. and I'll encourage others to do the same!